It is made from stainless steel material,anti-corrosive,corrosion resistance,durable. It mainly acts as decorative exhaust pipe to make your cars exhaust pipe no longer monotonous. Further,since the exhaust pipes discharge sewage and waste for a long time,the exhaust pipe will be rusty,bare,exposed,it will affect the overall beauty of the car. This tail pipe exhaust pipe prevent deformation of rust,also play a supercharger and a spoiler role. 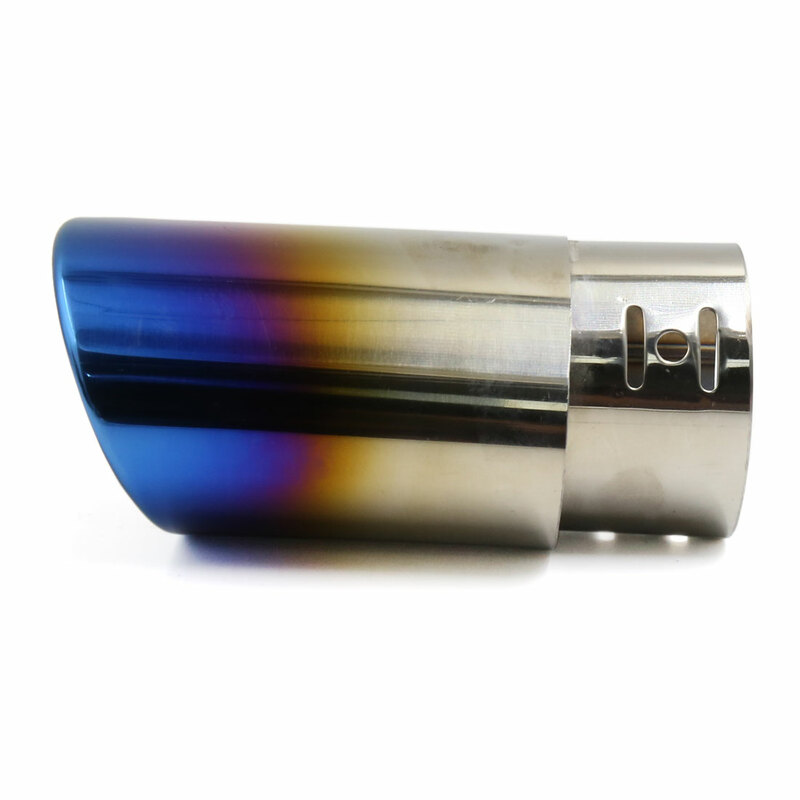 This muffler tip can not only reduce exhaust noise,also can release the exhaust gas safely and effectively. Note:To prevent wounded please wear gloves when installation. When the car just stopped or started,please do not install this product,to avoid being scalded.